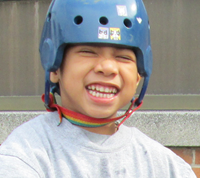 Kenny began attending our school two years ago when he was just 3 years old. When he first arrived Kenny did not have any special equipment of his own. Our therapists along with our partners and vendors were able to efficiently assess and provide the necessary supplies to help Kenny reach his potential. He immediately transitioned from self-propelling a wheelchair to independently using a walker throughout the building. 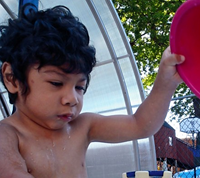 He is currently practicing walking independently without an assistive device. 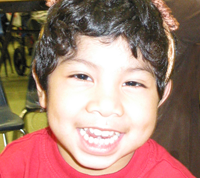 One of Kenny’s favorite’s things to do in school is share in morning circle time with his friends and classmates. He loves doing arts and craft projects, story time, and playing the matching game on his iPad. 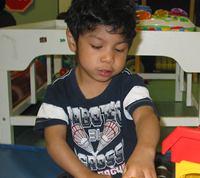 He also enjoys the weekly story time lesson and singing songs in music class. Kenny goes horseback riding on Friday afternoons as a members of our hippotherapy (therapeutic riding ) club.